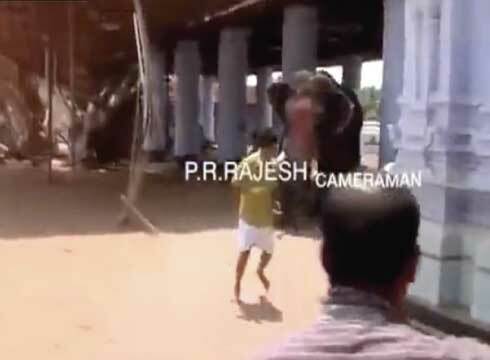 A video showing as rampaging elephant tramples Man to death while terrified onlookers run for their lives in India as been so disturbing. As shocked onlookers could only watch. A crowd tried to surround the large animal as it started to lose control in the town of Kerala. Suddenly the elephant broke away and crushed a man underfoot who was unable to move quickly enough. He is caught by the creature’s huge ivory tusk, before being stamped on with its large foot. People can be seen in the footage fleeing for their lives, while others can be heard screaming at the animal as the man is tossed about on the floor.